Tri-Clamp (sometimes called Tri-Clover) probes are normally attached directly to plumbing or existing kettle fittings using a clamp and gasket (not included). Includes two layers of sleeving, a stainless steel wire rope, and high quality 3:1 ratio heat shrink tubing for ultimate protection. Detachable for easy cleaning, available in custom lengths and colours. DIY kit. You supply the tools. Includes water-resistant/splash-proof silicone temperature probe cap. What Tri-Clamp probe sizes are available? The diameter of the outer flange is 2.52 " (64mm). Tri-Clamp probes with 1.5" TC flange can be used in 2" Tri-Clamp fittings (or vice versa) with a suitable adapter/reducer (not included). Note: The flange size refers to the outside diameter of the tubing that it makes a connection for, not the flange diameter. Tri-Clamp probes with a 1.5" TC flange are also available. See our selection of probe styles and lengths for just about any kettle. Contact us for custom orders. I want to build my own. What's included in the DIY kits? 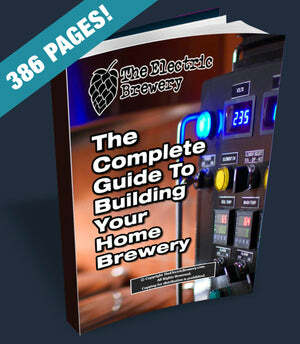 Assembly instructions are available in our Complete Guide to Building your Home Brewery or online here. Yes. Some kettles come with thermowells (usually 1/2" NPT or Tri-Clamp). Thermowells help protect the probe from damage during cleaning or from overzealous brewers with mash paddles where the probe is buried in grist and can't be seen.